Try an Aged Balsamic like Black Cherry, Cinnamon Pear, Dark Chocolate, Maple or Raspberry on Ice Cream. Blood Orange Fused Extra Virgin Olive Oil is delicious on ice cream too! Be inspired to find a mate to create your own plate there are many possibilities. These suggested pairings are great on fish, poultry, salads, bread dipping, desserts and pasta dishes to name just a few ideas. 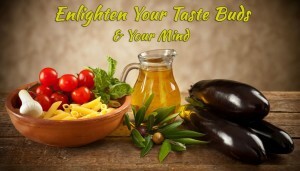 You have a cornucopia of ideas at Capizzano Olive Oils & Vinegars. No Synthetic chemicals, colorings or flavorings added. Option: fresh snipped parsley to garnish on top with radishes. Oven pre-heated 350 degrees. 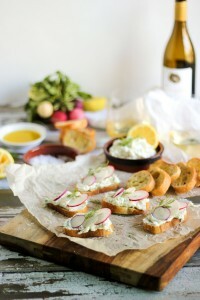 Slice baguette at an angle ¼ in rounds, put on baking sheet, brush one side with the UP EVOO of choice. Season with Makai and pepper. Place in hot oven for 12 minutes or until golden crispy. Remove from heat. Finely chop the dill and tarragon mix with the cheese, lemon juice and zest with a good helping of Sea Shakes salt and pepper. Mix up very well. Taste and season as needed. Carefully slice the radishes very thinly. When the bread is ready to come out of the oven slather the toast with the cheese/citrus/herb mixture. Top with 2 – 3 radishes thinly sliced. Sprinkle with snipped fresh dill or parsley. Enjoy with conversation, wine, and friends. Method: Heat EVOO and garlic medium low heat until just bubbly. Remove from heat, cool. Stir in herbs, pepper, lemon slices and bay leaf. Add vinegar and salt. Pour the mixture over the mozzarella balls and transfer to an airtight container. Refrigerate overnight or up to 2 weeks. Bring to room temperature before serving. 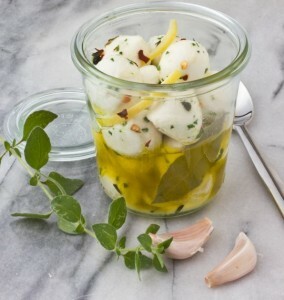 Serve with olives, crusty bread and a meze plate with your favorite wine together with friends. Balsamic Spritzer with Pineapple White Aged Balsamic and Mineral Sparkling water. 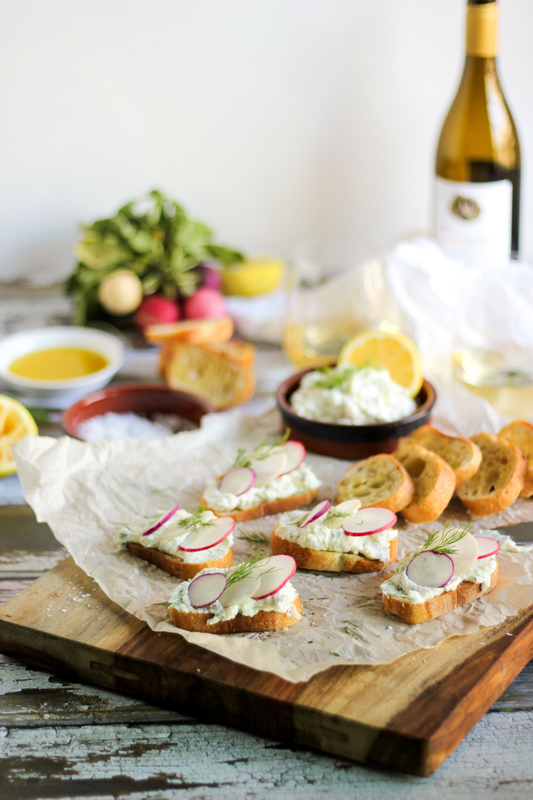 Enjoy with crusty bread or sliced raw golden beets and a glass of your favorite wine. 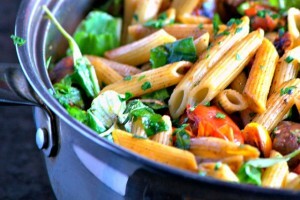 Method: Cook PrimoGrano 100% Abruzzese Penne pasta. 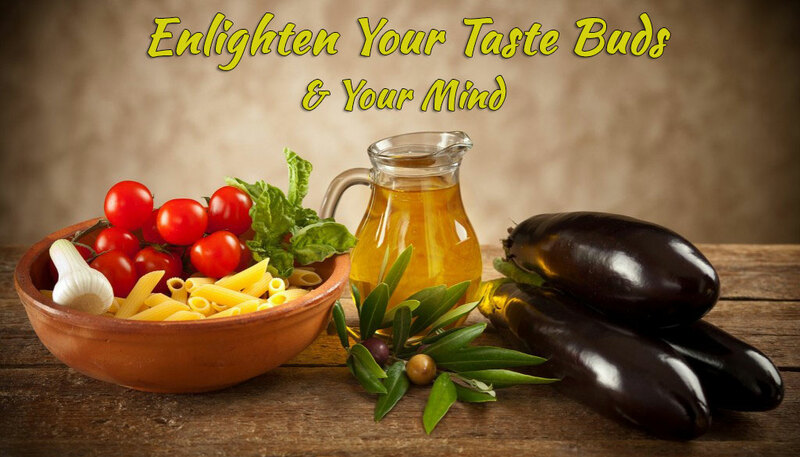 Combine garlic, Extra Virgin Olive Oil, and fresh squeezed lemon juice in blender or processor, blend until smooth. Add avocadoes, tomatoes, basil and blend until smooth. Add a bit more EVOO as needed. Season with Makai or Sea Shakes and fresh ground Pepper. Drain the pasta, top with the sauce drizzle a little more EVOO and garnish with fresh ground Parmesan or Pecorino cheese. Options: I added fresh watercress and thinly chopped red peppers to add color and more nutrients. Try arugula, spinach or shaved Brussels sprouts for variations. Dessert: Apples sliced thinly, drizzled with Limonata Fused EVOO and Dawn Spice! Balsamic Spritzer: Gravenstein Apple White Balsamic with Sparkling Water. Selected Wine Pairing: Bucaro Montepulciano Abruzzo Red Wine, smooth and full bodied. Recipe credit to The Oldways 4 Week Mediterranean Lifestyle Menu Plan Day 21.